In year 12, I was dreaming of Cambridge, imagining myself as a student in the little city with the river. It was the kind of Cambridge you see on TV – picturesque, proficient students, the perfect foundation for the perfect life. I could see myself, my best self, as one of the students in this city. But the odds were stacked against me. I didn’t think I’d get in. Not because I wasn’t smart enough, but because, coming from a state school, I just didn’t know how. I didn’t have teachers who understood how the admissions process differed from those of other universities, and the only people I’d ever met from Oxbridge were similarly-disadvantaged current students working with outreach schemes. 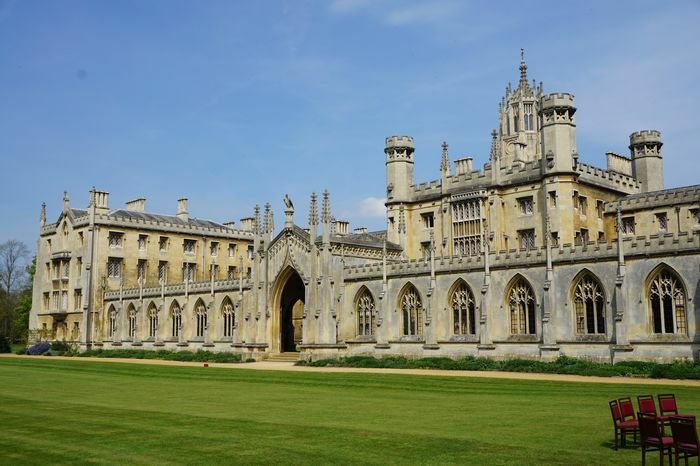 In an ideal world, entry to Oxbridge is a level playing field. In reality, it simply isn’t. Oxbridge remains a dream that many don’t even see the point in attempting to achieve. I have been lucky enough to benefit from outreach attempts, and I don’t want to minimise the incredible work done by Schools Liaison Officers and admissions tutors. However, in my experience, it felt like a load of information had been dumped on me at once, and I didn’t even know where to begin deciphering it. With a massive workload already, it felt superfluous that I should have to learn even more just to apply to university. It would’ve taken a very large weight off my shoulders, not to mention my work plate, if even one person around me knew what applying to Oxbridge is like. The whole system needs to be demystified. During my application, I remember feeling like part of the admissions process was how well I could navigate the countless forms and red tape, seeing if I even had the patience to do it. All of these new concepts – ELAT, winter pool, college, academic interview – meant nothing to me. But without anyone to guide me, I had to make sense of them myself to make my dream of a Cambridge acceptance a reality. I even started teaching my teachers about the process, explaining what the winter pool meant or reminding them to enter me for my ELAT entrance exam. I hope this is information they are passing on to applicants now, but the difference I made in my state school was a drop in the ocean compared to the wealth of privilege held by those well-funded and very experienced eight top schools that send more kids to Oxbridge than 3,000 other schools combined. Then, when state-school students get here, we see a similar trend. We often take part in outreach schemes; we become mentors in schemes like Project Access, or contribute to InsideUni; we write articles about how the access system is fundamentally flawed. The structure remains the same, and it is individuals who are working to change it. When access becomes the responsibility of individuals, both when applying and when we get here, an unfair burden is placed on those from disadvantaged backgrounds. If Oxbridge altered their access and outreach schemes only slightly, this burden could be lessened. While it is helpful for sixth-formers to hear from students from similar backgrounds, access work should go deeper than school visits and student Q&A panels. We should remove the burden from students, and train teachers in the art of Oxbridge applications. In such an already stressful environment of Sixth Form, students need to be supported, not burdened with more to learn. The current system is doing little to prevent this burden. We should follow the path of Brampton Manor, the state school currently holding 41 Oxbridge offers. Sam Dobin, the director of the sixth form said: “The secret is having the students believe in themselves.” I couldn’t agree more, but let’s not ignore the fact that there’s also a lot more to it than that. Brampton Manor employs “a team of five oxbridge graduates” who help students get their head round the process. The biggest issue in access is not just reassuring kids that Oxbridge is a choice, but teaching them how they should go about getting in. Ultimately, the burden of access needs to be taken off the individuals and shifted back onto the institutions. Whether it’s training school staff or streamlining the application process, more needs to be done to demystify Oxbridge and what it takes to apply, and this will simply never be achieved through student work alone.